We've included listings for companies such as Lightwaves Concept, Inc. and Artisancrafted.com inside our Pendant Lighting guide. High-end track lighting, cable lighting systems and pendant lights. Site showcases many designs. Online storefront for artisan lights, glasswork, sinks, furniture and more. Founded in 1983 by Atlanta socialite Helen Ballard, this namesake company sells home furnishings, lighting, ceiling fans, kitchen islands and decorative accessories online and through brick and mortar stores. Portland, Oregon company specializes in durable building parts crafted by hand. Products include recycled aluminum tiles for countertops, lighting, sinks and hardware. Custom design, manufacturing and restoration also offered. This online discounter sells name-brand table lamps, floor lamps, and lighting fixtures. This well-known online retailer offers a deep selection of lighting and ceiling fans. Founded a century ago as a maker of gas mantels, this company has grown into a major manufacturer of residential lighting - with products in virtually every lighting niche inside and outside the house. It sells products directly online - and lists retail outlets, where prices are usually better. Established in 1908, Herwig has made hard-crafted indoor and outdoor lighting ever since from its original designs. Today it is still operated by descendents of the company's founder. 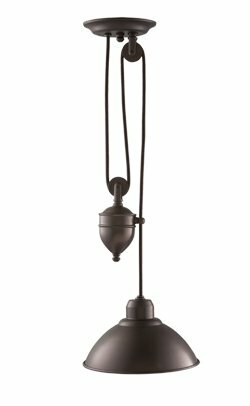 Products include wall brackets, pendants and post lanterns made from cast aluminum and cast bronze. This California-based online retailer offers a full catalog of selections from a variety of well-known manufacturers. Art Deco lighting, especially wall sconces and pendants. Company aims its line primarily at commercial buyers. Pulley and counterweight system allow this pendant to be lowered or raised. 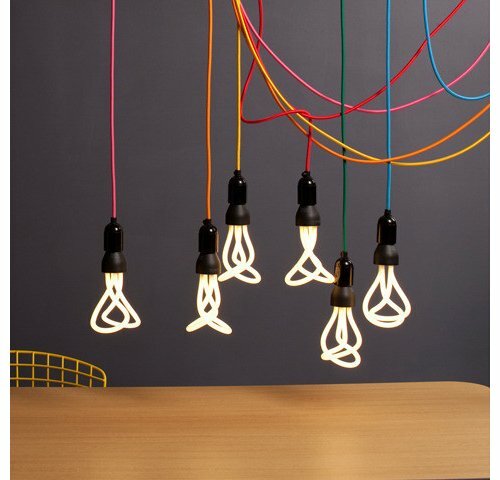 The humble CFL takes a designer twist in the Plumen 001.